The statewide Battle of the Books program is designed to promote a love of reading among our students. It encourages students to read a variety of books and remember information about the plots, characters, and settings of the books. Every question asked in a battle is answered by the title and author of the book and takes the form of: Name the book in which a horse and a boy are stranded on an island. It is a fun, academic-based competition that has been very successful in school districts throughout the state in encouraging students to read. Visit the Battle of the Books site HERE! 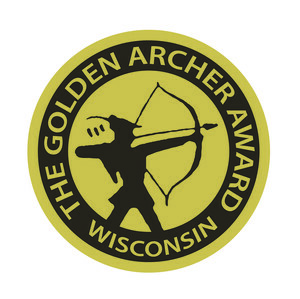 The Golden Archer Award, begun in 1974, is Wisconsin's student choice book award. The awards are given in four age level categories - Primary, Intermediate, Middle and High. The nominations list is created by the committee based on titles that are selected and read by students in Wisconsin. The award winners are announced at WEMTA's annual spring conference. Visit the full Golden Archer Award site HERE!